The view of downtown Denver from my hotel room window includes the cityscape, as well as the Front Range of the Rockies, most of the peaks still capped with snow. I’ve just sipped a freshly brewed cup of coffee while relaxing in one of the colorfully-decorated room’s plush upholstered chairs, and I’m still snacking on the complimentary fruit and cheeses the hotel sent up as a thank you for my stay. I’m writing this from the ART Hotel, one of Colorado’s—and the country’s—premier lodgings, with its world-class art collection of more than 40 original works from big-name contemporary artists like Clyfford Still, Andy Warhol, and Sol LeWitt. The hotel has covered the costs of everything surrounding my stay but the gratuities, and so last night I dined on crispy calamari with pickled shishitos and maple-glazed salmon with sweet potato gnocchi. 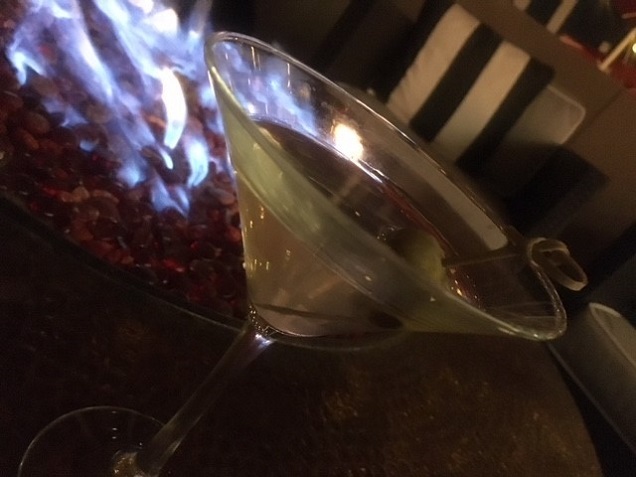 That was followed by martinis on couches around a fire pit on a patio overlooking the city. I’ll be writing about the hotel, which is why it has extended this generous stay to me for free. As the decades-long lead reviewer for the Fodor’s Guide to Colorado, I’m on my tenth update of the Denver section. The job requires that I stay, or at least check in, on every property in the city, including restaurants, hotels, and attractions. I know, it’s a dirty job, right? And someone indeed has to do it, so that visitors will have some guidance as they navigate unfamiliar territory. This is just one of the opportunities that I’ll have this year to share information about my hometown, including a short blurb in the Denver Business Journal, which contracted me through the content agency for which I write regularly. While it’s true that I have 30 years as a journalist under my belt—about a third of those as the travel editor for The Denver Post—it’s also true that this kind of work is available to anyone who is willing to put in the time and effort to learn the ins and outs of travel writing. Things like how to pitch an editor, what publications are buying and looking for in a story, and the best way to organize a story for maximum impact. And the great thing about travel writing today is that it doesn’t take years of experience, or any special degree to get started. You can pick up all of this knowledge in a single weekend, and, with a little practice, you can get your first articles published in a matter of weeks. Once you’re out there exploring more of the U.S. and the world—getting free stays, meals, and tours in exchange for your articles—you’ll be so glad you took the leap and got started. From a scenic train trip across Egypt where I sipped minty tea with burka-clad women… to a raucous journey in a Jeep driven across Lawrence of Arabia’s Wadi Rum desert by a native Bedouin… to deep-fried fish freshly caught just out the front door of an eatery on the wharf in Reykjavik, Iceland… to riding an elephant through the jungle just outside of Chiang Mai, Thailand, the experiences inherent in being a freelance travel writer are seemingly endless and awesome. Every trip I’ve ever taken has offered something new and unexpected, and that has enriched my life immeasurably—and these are all experiences I likely wouldn’t have had if travel writing weren’t my chosen career. When we’re exposed to other races, religions, ways of life, and different socio-economic situations, we tend to be more open to new ideas and to help foster further exchanges with those cultures. There are few more meaningful interactions in the world than to find common ground with those who are different from us and to share a meal or a chat. Yes, it is exhilarating to see your name in print, to get paid to seek out and write about exotic locales, and to have destinations roll out the red carpet for you on a press trip with comps and reduced-rate activities. But there are much bigger benefits to be had: exciting and unexpected adventures, a fresh perspective on the world, renewed confidence in your ability to navigate an unfamiliar place, a sense of a larger purpose and a bigger-picture view of your place in it all. Travel writing adds up to far more than the sum of its obviously fabulous parts. I hope you’ll join us on this magnificent journey!